Boston, 1870. Photographer Edward Moody runs a booming business capturing the images of the spirits of the departed in his portraits. He lures grieving widows and mourning mothers into his studio with promises of catching the ghosts of their deceased loved ones with his camera. Despite the whispers around town that Moody is a fraud of the basest kind, no one has been able to expose him, and word of his gift has spread, earning him money, fame, and a growing list of illustrious clients. One day, while developing the negative from a sitting to capture the spirit of the young son of an abolitionist senator, Moody is shocked to see a different spectral figure develop before his eyes. Instead of the staged image of the boy he was expecting, the camera has seemingly captured the spirit of a beautiful young woman. Is it possible that the spirit photographer caught a real ghost? When Moody recognizes the woman in the photograph as the daughter of an escaped slave he knew long ago, he is compelled to travel from Boston to the Louisiana bayous to resolve their unfinished business―and perhaps save his soul. But more than one person is out to stop him. With dramatic twists and redolent of the mood of the Southern Gothic, The Spirit Photographer conjures the Reconstruction era South, replete with fugitive hunters, voodoo healers, and other dangers lurking in the swamp. Jon Michael Varese’s deftly plotted first novel is an intense tale of death and betrayal that shows us how undeniably the ghosts of the past remain with us, and how resolutely they refuse to be quieted. One day, while developing the negative from a sitting to capture the spirit of the young son of an abolitionist senator, Moody is shocked to see a different spectral figure develop before his eyes. Instead of the staged image of the boy he was expecting, the camera has seemingly captured the spirit of a beautiful young woman. Is it possible that the spirit photographer caught a real ghost? When Moody recognizes the woman in the photograph as the daughter of an escaped slave he knew long ago, he is compelled to travel from Boston to the Louisiana bayous to resolve their unfinished business―and perhaps save his soul. But more than one person is out to stop him. 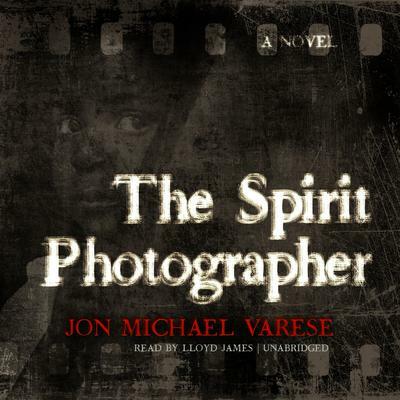 With dramatic twists and redolent of the mood of the Southern Gothic, The Spirit Photographer conjures the Reconstruction era South, replete with fugitive hunters, voodoo healers, and other dangers lurking in the swamp. Jon Michael Varese’s deftly plotted first novel is an intense tale of death and betrayal that shows us how undeniably the ghosts of the past remain with us, and how resolutely they refuse to be quieted. Jon Michael Varese is a literary historian whose focus has been the significance of the nineteenth-century British novel in both Britain and America. He is the director of public outreach for the Dickens Project at the University of California Santa Cruz and the editor of the Signature edition of Great Expectations. The Spirit Photographer is his debut novel.